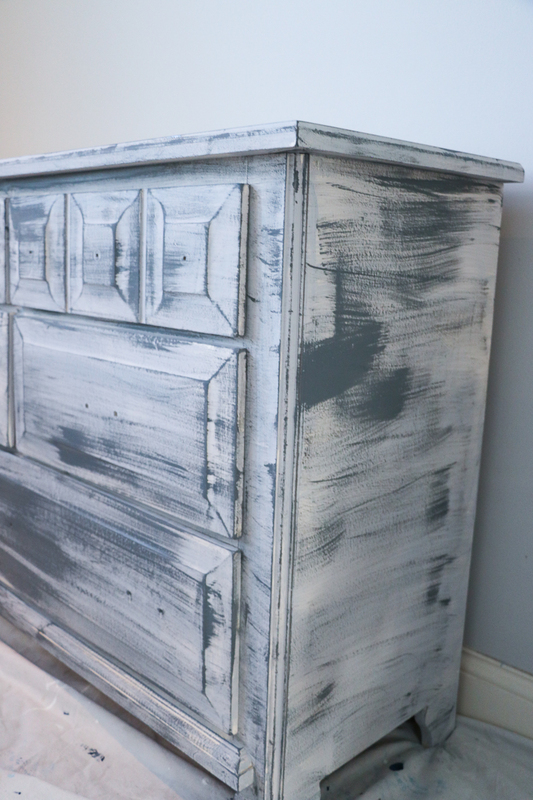 Faux Wood Paint Tutorial - Sincerely, Sara D.
I recently discovered a Faux Wood Paint Tutorial that looks good AND is easy! 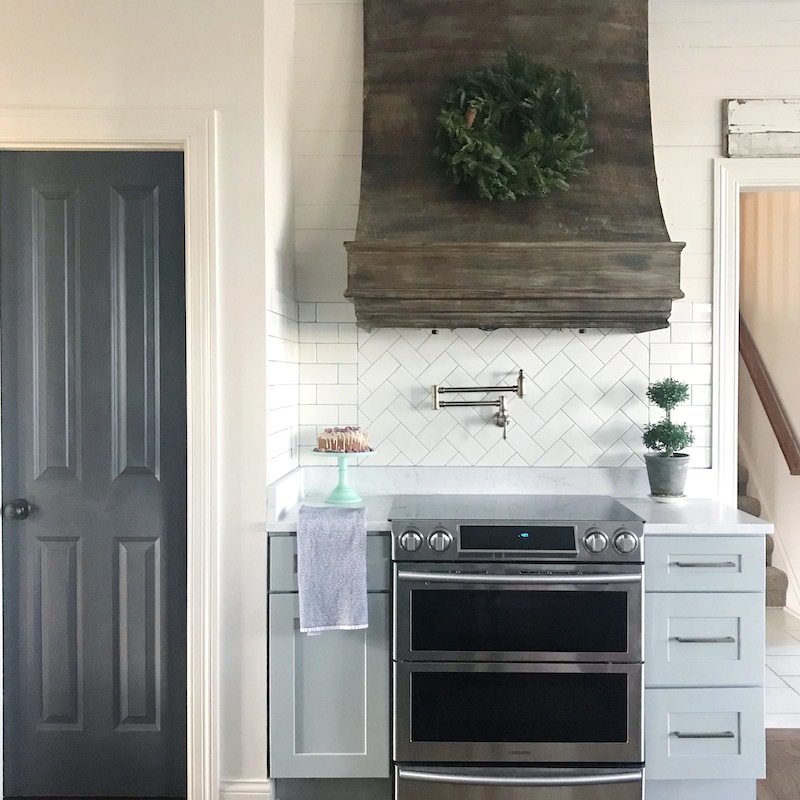 If you followed along during our DIY kitchen remodel, you saw me use this same technique on our plaster stove hood (see that tutorial here). 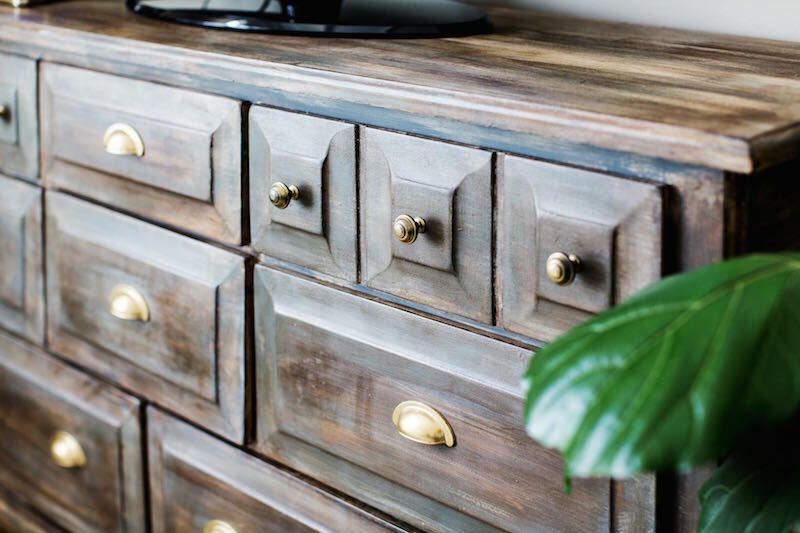 I loved the result so much, that I decided to use the same technique on my 15 year old dresser. 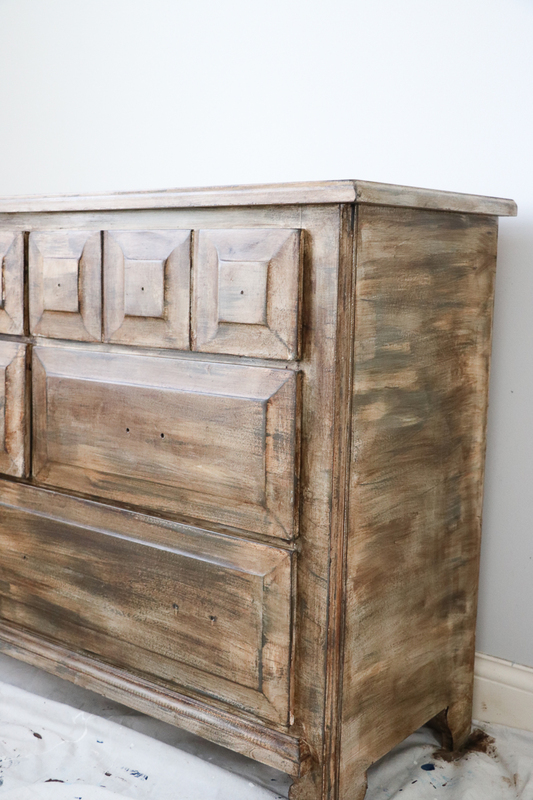 It was dinged up and not real wood, but I really wanted a wood dresser in our recent master bedroom makeover. So, I pulled out the paint! 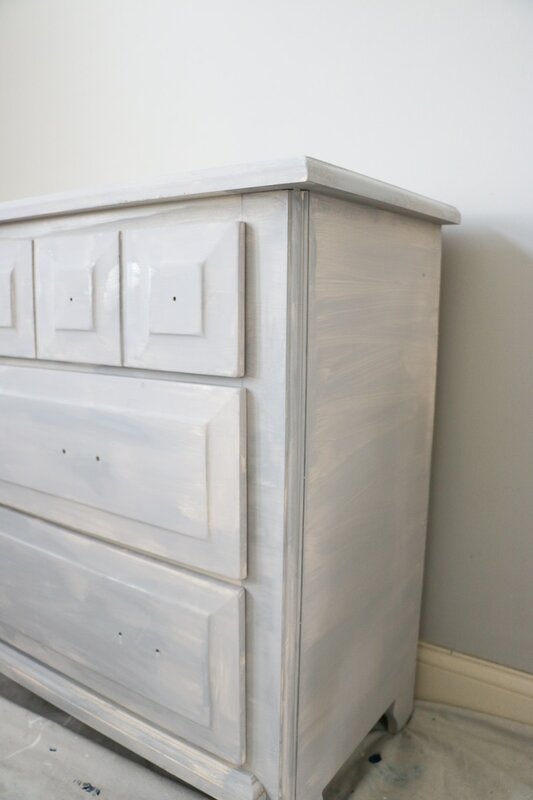 The dresser is so heavy that I decided to paint it in the bedroom. I added a drop cloth underneath and removed the hardware. 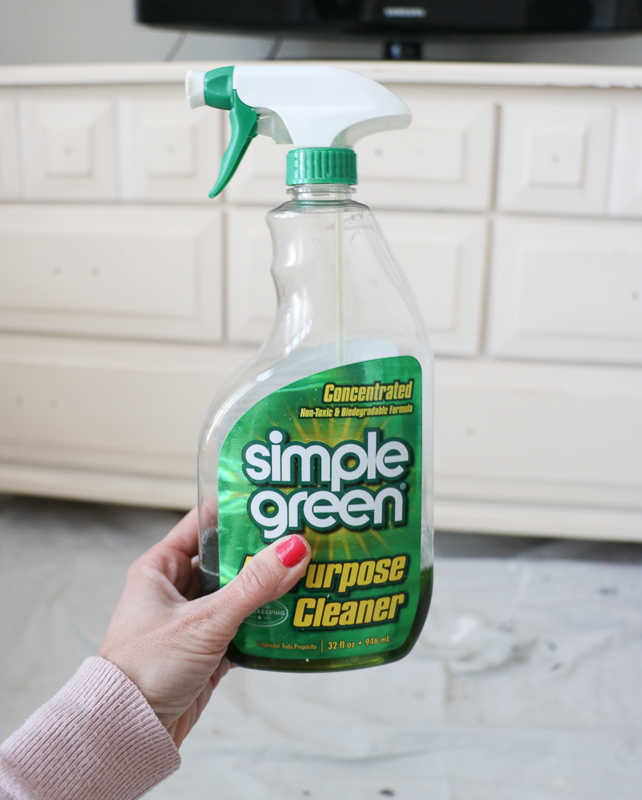 I used Simple Green to clean off any grime and dirt before I painted. 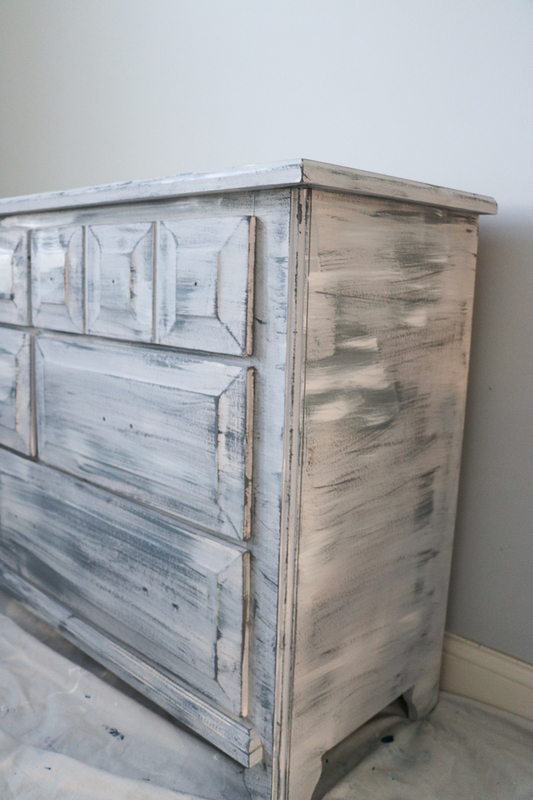 I used chalk paint to achieve this look, and I began by painting the entire piece with white paint. 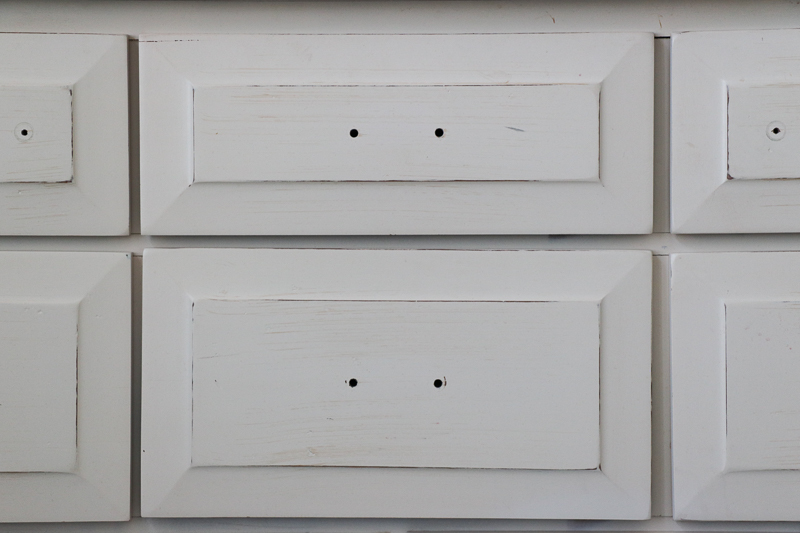 Once the white paint was dry, I used a dry brush method and added a dark gray. 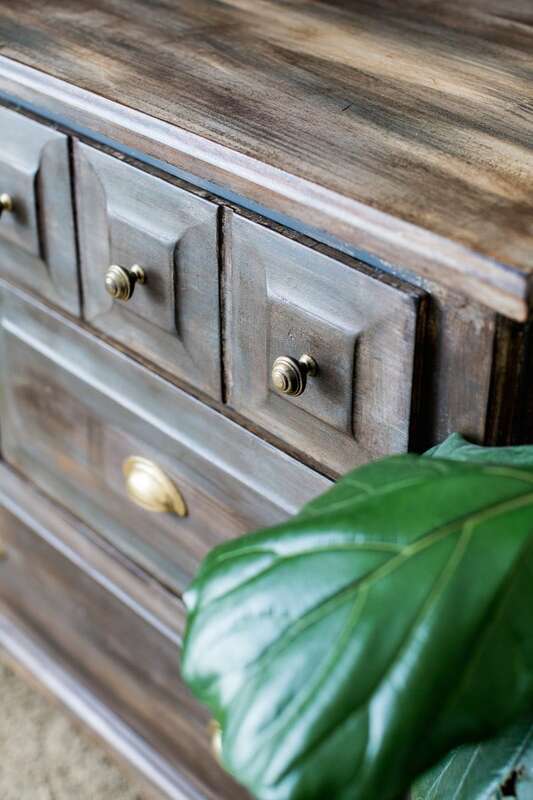 This gives the appearance of wood grain and dimension. 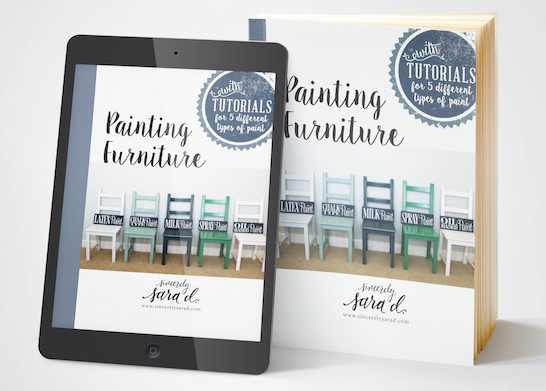 *If you are unfamiliar with the dry brush technique, click here to see the full tutorial! I added one more layer of paint – a light gray. This helped tone down some of the areas I added too much dark gray to and added more dimension to my piece. 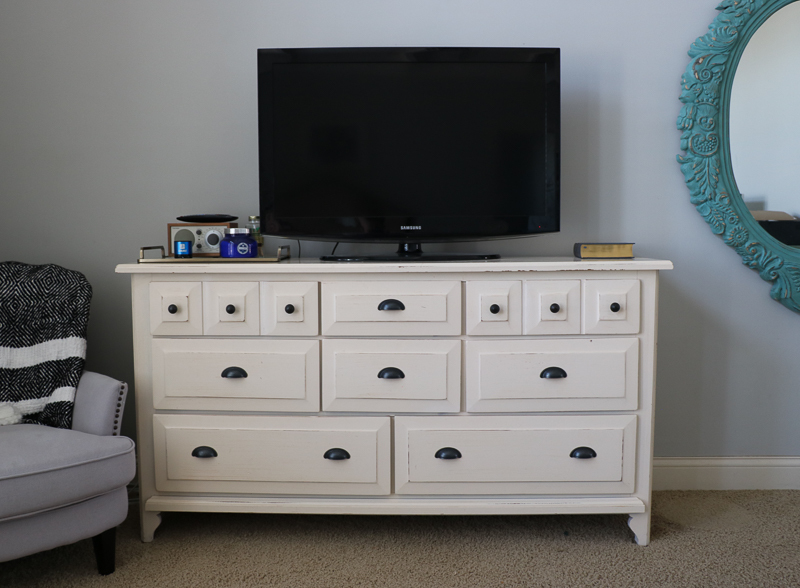 Once the paint was dry, I when over the entire dresser with a dark wax. I buffed with a lint-free cloth. I share a more detailed tutorial on this painting technique here. What do you think? 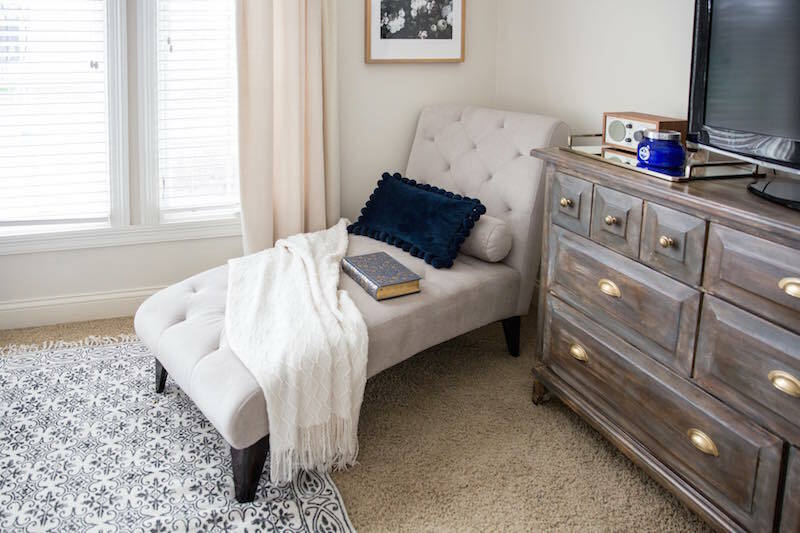 I love the richer color for my new space! Will this work on an IKEA dresser?